Ultra-rare working collectible built for WWII. "Checkmate King 2 to White Rook, over?"... Here's a crank collectible built for communication from front line OP (observation posts) to the brass behind the lines. Over 70+ years old, it looks like a phone from Mayberry RFD. Brand new, foil sealed in its original box. 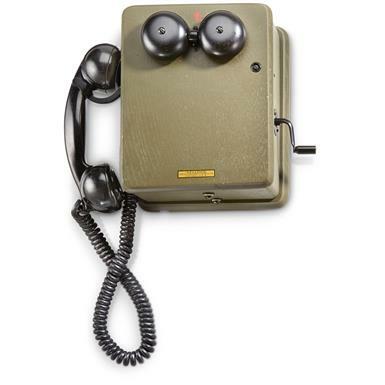 Real-working communicator was built by Kellogg Switchboard Supply back in the day. 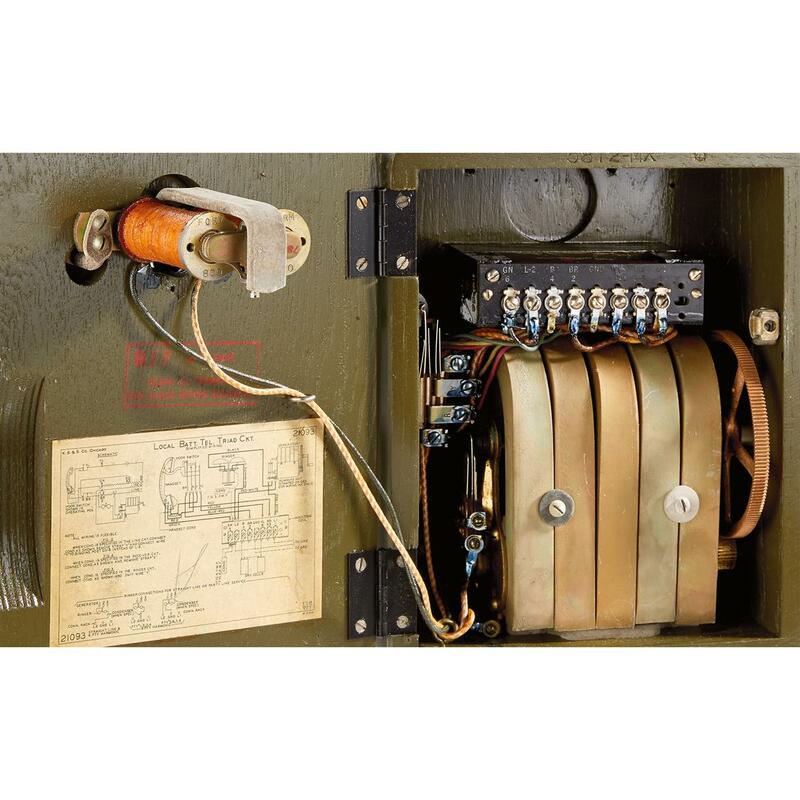 Talk about a seldom-seen, genuine WWII era communicator, this is it. Authentic collectible is sure to initiate conversation among friends! A must-have for your military collection. It even comes in its original box! Keep informed and entertained at home or in the boonies. Order today! Measures: 9 1/2" x 7 1/2" x 4 1/2"